Green Fee Players are very welcome! Bookings are essential. To book a tee time online you must first register for online bookings via the link below then you are welcome to view and book available tee times. Feel free to call our Pro Shop on (03) 5975 4171 at anytime to assist you with your booking or to book a golf cart. 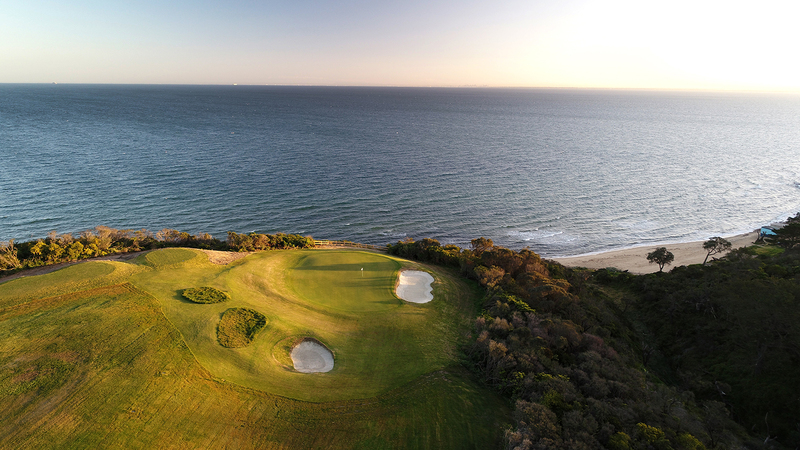 The course at Mornington Golf Club is suitably challenging for novice and experienced golfers with views across the Bay to distract your golfing partners from most tees. With a tropical style course that feels more like Northern Queenland, than SE Victoria, with beautiful palms lining the fairways and dozens of water features spread throughout there is no better place to play golf. We’ve worked hard year after year to keep our green and membership fees at super fair and reasonable prices, so you can play until your hearts content.